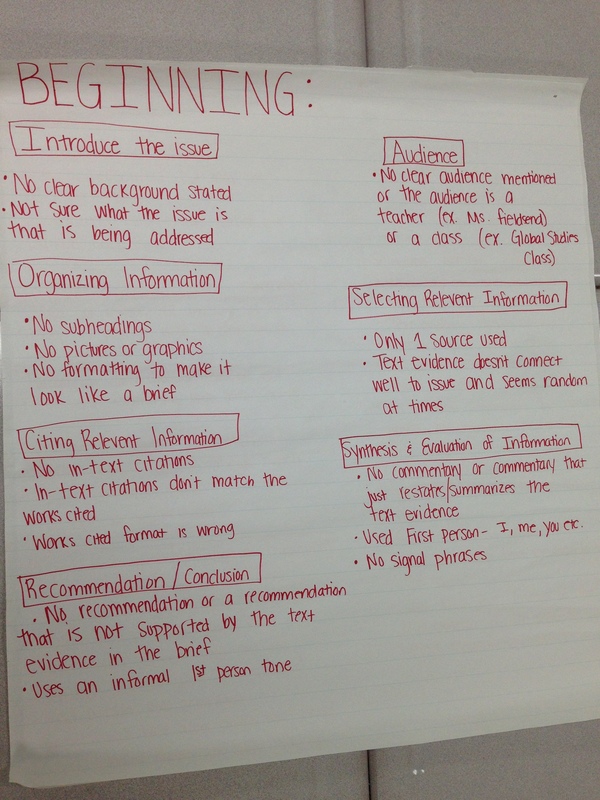 Many strategies were used to ensure students had the skills necessary to complete this task. A rubric was developed for students to gain clarity on expectations. 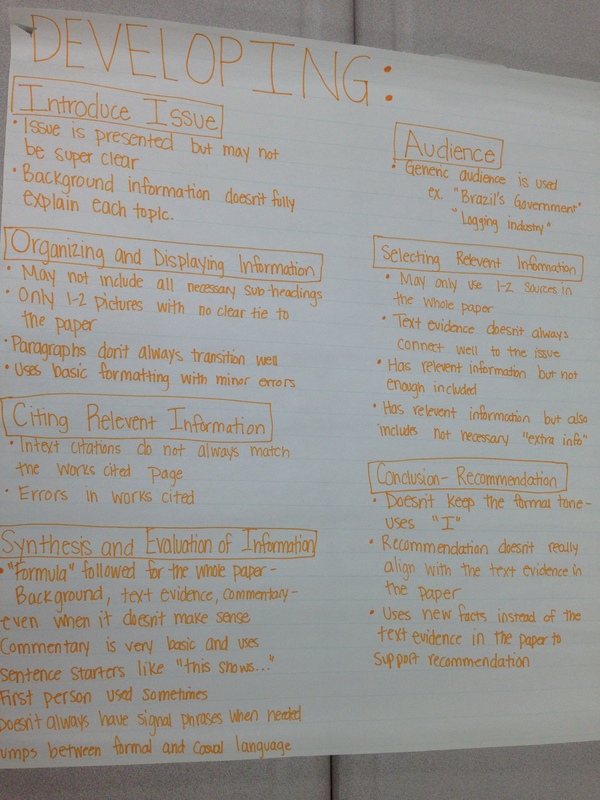 students had a stake in developing what each descriptor of the rubric looked like, and these student developed descriptors were posted in the room for the entire unit. Modeling was an essential piece of this research project to ensure students understood the expectations. Finally, the revision and editing process was key for students, not only to help improve their work, but also to help students understand that the writing process is never really "finished".